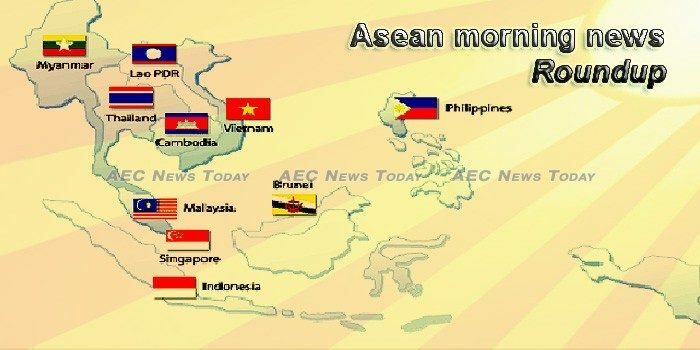 ASEAN-India trade is likely to touch 100 billion USD by 2020, news agency PTI has quoted Union Urban Development and Housing Minister Hardeep Singh Puri as saying. THAILAND NEEDS to prepare for the negative consequence of the increasing rivalry and conflict between the United States and a rising China, notably from a trade war now building, but might benefit in the long run as Americans increasingly move into the region in search of suppliers and customers. Recruitment of tech talent in the Philippines took a turn for the worse with negative figures for two consecutive months, according to the data provided by the Monster Employment Index, released by Monster.com. The 10 major economies of Asia, including India, are expected to see robust growth and amount to over $28 trillion in real GDP (gross domestic product) terms on aggregate, more than the US by 2030, says a DBS report. The Mekong is Southeast Asia’s lifeblood, pumping life into some of the region’s biggest cities. Commercial fishing is a matter of national security. It is a source of employment and income for thousands of fishermen in Southeast Asia. When Western tourists first arrive in the Far East, one of the culture shocks they encounter lies on the other end of local cuisine: the public toilets. The Commission on Audit (COA) has recommended the filing of charges against Presidential Communications Operations Office (PCOO) officials due to their anomalous spending of funds for the 2017 ASEAN Summit. Ayala-led Manila Water Co. (MWC) is scouting for new bulk water projects in Indonesia and Vietnam, in line with plans to expand its footprint across Southeast Asia and grow its overseas business to account for 10 percent of total business. To many people, Southeast Asia is synonymous with ancient temples and historic monuments. The Kingdom will import 30,000 tonnes of salt to meet domestic demand as stockpiles are expected to empty by November, a leader from the Salt Producers Community of Kampot-Kep said. Kampong Speu and Sihanoukville provincial authorities on Saturday morning announced to resume traffic on National Road No. 4 after temporarily suspended due to flooding that came across the road and bridge since Tuesday. The objective of the Program to Accelerate Agrarian Reform (One Map Project) for Indonesia is to establish clarity on actual land rights and land use at the village level in the target areas. The Ministry of Finance estimates that the government may collect up to Rp 3 trillion ($207 million) in additional revenue next year from a new excise on tobacco extract, or vaping liquid, commonly used in electronic cigarettes. Indonesia was due to send a trade mission to the United States yesterday to lobby the Trump administration into maintaining favourable trade terms amid increasing global trade tensions triggered by the US. 45 years old, Beijing people, translation, polite, these features like the old Lai, but is the same as the executor, not only 4 debts, but also a delay of delay in the courts decision. The High-Level Side Event entitled Nation SDG 18 “Lives Safe from UXO for Sustainable Development in Lao PDR”, hosted by the Government of the Lao PDR and the United Nations Development Programme (UNDP), organized on the margins of the United Nations High-Level Political Forum in New York on July 17. Provincial authorities must continue their efforts to increase access to the labour market for Luang Namtha people in line with the nation’s labour policy. MIDF Research is positive on AirAsia X Bhd’s (AAX) recent commitment to expand its fleet size with the addition of 100 A330neo long-haul aircraft, making it the first Asian airline to operate the model. Malaysia’s youth are likely to get more power after backing 93-year-old Mahathir Mohamad to topple a regime that ruled the Southeast Asian nation for six decades. Malaysia on Saturday denounced repeated suggestions by an adviser to Philippine President Rodrigo Duterte that Sabah should be designated as the 13th state of the Philippines. The Royal Thai Government, the Royal Thai Embassy in Yangon and the Thai Business Association of Myanmar are holding Myanmar Insight 2018, a seminar aimed at encouraging Thai investors to explore opportunities in Myanmar. The chairman of an international panel set up by Myanmar to advise on the Rohingya crisis has rebutted criticism by the body’s former secretary, saying the panel is effective and the government has acted on its recommendations. THE Department of Finance (DOF) has reported that 51 ​of 77 government-owned and -controlled corporations (GOCCs) have remitted a total of P31.297 billion to the Bureau of the Treasury (BTr) as of the second week of July this year. THE proposed Bangsamoro Organic Law (BOL) mandates the national government to allot P50 billion special development fund (SDF) to rehabilitate areas affected by armed conflict between the military and Muslim rebels, according to Sen. Juan Miguel Zubiri. The One-Stop Shop Inter-Agency and Duty Drawback Center (OSS) had erroneously granted P11.18 billion worth of tax credit certificates (TCC) to 33 textile companies from 2008 to 2014, the Department of Finance (DOF) said. The Land Transport Authority (LTA) intends to impose financial penalties totalling $1.9m on SMRT for the fatal accident which took place on 22 March 2016 near Pasir Ris MRT Station, and the flooding incident in the tunnels between Bishan and Braddell MRT Stations from 7 October 2017 to 8 October 2017. The 58-year-old, who had half a lung removed during surgery last year, paused midway through her 5km run yesterday to take her cancer medication before pressing on. It was reported on Friday (20 Jul) that cyber hackers have broken into the computer systems of SingHealth and stolen the personal particulars of 1.5 million patients. The stolen data included confidential records of patients’ name, IC number, address, gender, race and date of birth. Gen Prayut Chan-o-cha is again at pole position in the top 10 candidates for prime minister under the current election law, according to the result of a survey carried out by the National Institute for Development Administration, or Nida Poll. VETERAN DIPLOMAT and former lawmaker Kobsak Chutikul said yesterday that his resignation from the advisory board on the Rohingya crisis is a cautionary message from a long-time friend of Myanmar since the matter is now at a critical stage. The Ministry of Commerce has reported that export growth skyrocketed during the first half of this year despite trade conflicts in the global arena. A new bridge project is expected to boost transport in and out of a key port in Vietnam. Approval is being sought to go ahead with the bridge for the port of Haiphong, which lies on the coast close to the city of Hanoi. The project is expected to cost nearly US$304 million. Fruits and vegetables may earn the country 4.7 billion USD this year, according to the Ministry of Agriculture and Rural Development. The growth in Vietnam`s capital markets to US$200 billion in value from some US$35 billion five years ago, was a big draw for global investors, Jeffrey Perlman, Southeast Asia chief of Warburg Pincus told Reuters.